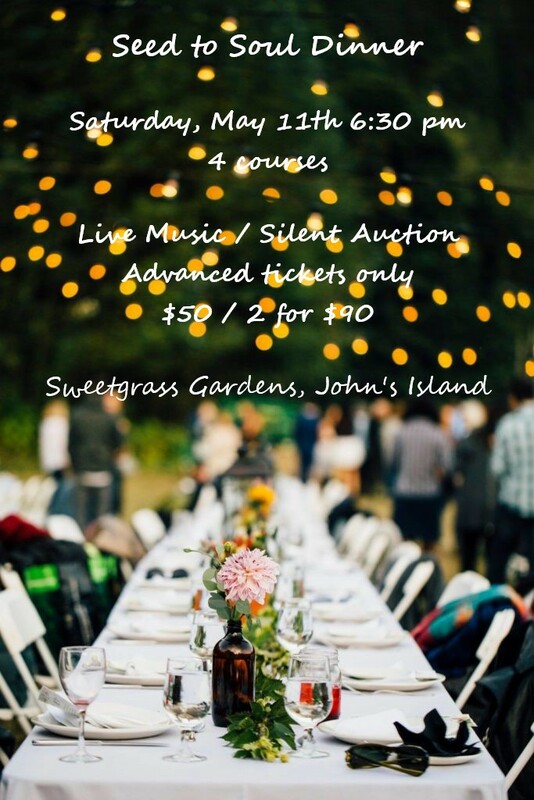 Join us at Sweetgrass Gardens for a special dinner event under the stars. Our Chefs Justin & Brandi and our Teen Chefs will serve you a locally curated 4 course meal that will connect your soul to the seeds of AMOR and the local abundance of the Lowcountry. Proceeds directly fund our program of teaching culinary skills to the youth while providing healthy meals to those facing serious health challenges. AMOR Healing Kitchen, Inc. is a 501(c)(3) charitable organization. All contributions are 100% tax deductible.